As temperatures soared yesterday, ERCOT estimates that electricity usage reached an all-time peak high (breaking Wednesday’s record) with Texans using 60,157 MW of power – flying past the official record set on August 31, 2000 when 57,606 MW of power was consumed by Texans in the ERCOT service region. 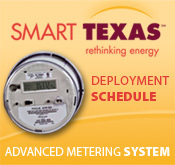 For tips on how to conserve energy, go to http://www.texasishot.org/. What is all this brouhaha over light bulbs? “In 2007, little seemed problematic about the energy-efficient light bulb or the law signed by President George W. Bush, which called for the incandescent bulb to be phased out in favor its energy-saving counterpart. But that was before the rise of the Tea Party”. 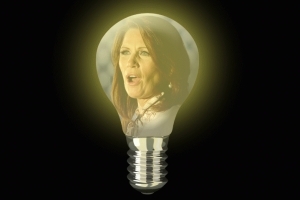 Why is the Tea Party suddenly obsessed with light bulbs? In 2007, little seemed problematic about the energy-efficient light bulb or the law signed by President George W. Bush, which called for the incandescent bulb to be phased out in favor its energy-saving counterpart. But that was before the rise of the Tea Party. Suddenly, saving the old-fashioned 100-watt bulb — which wastes most of the energy it consumes and costs households more in energy bills than the new model — has become a matter of personal liberty. And so, House Republicans on Monday will seek to repeal the 2007 law, which calls for the phaseout to begin in January 2012. The law has been dubbed “the light bulb ban” by activists on the right and has struck a Tea Party nerve. Rush Limbaugh, Glenn Beck and Michele Bachmann have all called it government intrusion par excellence. It essentially mandates that no new bulbs can go on the market after January ’12 without meeting a new, higher standard of energy efficiency. Bulbs that don’t meet the standard but that are already in stores won’t be taken off shelves. And, of course, Texas was right in there leading the charge. On June 17th, Governor Perry signed into law HB 2510 (Relating to exempting the intrastate manufacture of certain incandescent light bulbs from federal regulation). Check out our earlier blog about why this legislation is such a futile fist-shaking at the federal government and really, not in the best interest of consumers. And check out this article in the LA Times, poking fun at Texas for their new battle cry “Remember the Incandescent Bulb”. The article concludes with musings by one of our own – “And for all the hoopla over the Texas law, there is virtually no chance in the near future that residents of Lone Star State will be able to buy a state-made incandescent,” said David Power, deputy director of the Public Citizen office in Texas. Way to make a statement Texas! And if that wasn’t enough . . .
Texas’ Congressman Joe Barton took this fight to Capital Hill. The measure was defeated, but not before it became the delight of comedian’s across the country. Comedy Central’s Jon Stewart slammed House Republicans relitigating a fight over incandescent light bulbs while the country was on the brink of default. Watch this video from Comedy Central’s The Daily Show, broadcast July 12, 2011. The following contribution on a new Angelou Economics report showing positive economic impact to the state since 2009. is from Tod Wickersham of Businesses for an Energy Efficient Texas coalition (BEET). Texas’ energy efficiency programs have saved the state’s residents, schools and businesses money on their electric bills for years. However, a new study by noted economist Angelos Angelou quantifies the employment and economic impact benefits of energy efficiency programs to the state of Texas. While utilities and their customers each have their own way to value economic impacts of energy efficiency investments, this study offers a different perspective, finding that between 2009 and 2011, energy efficiency programs in Texas created or retained nearly 12,000 jobs and generated an overall economic impact of $1.5 billion statewide. When the Texas electric market was deregulated in 1999, the Texas Legislature recognized that energy efficiency provided Texans a valuable tool to lower the cost of energy and established energy efficiency programs administered by investor-owned utilities (IOUs). These successful programs were expanded in 2007 by the Texas Legislature and further expanded by the Public Utility Commission in 2010. Angelou’s study also recognizes additional economic, job creation and energy savings benefits that would result if these energy efficiency programs were further increased. The nine IOUs in Texas currently are working to meet these state requirements through programs that offer financial and/or technical assistance to help customers be more energy efficient. As a result of these efforts, electricity demand in Texas was reduced by 240 megawatts in 2009 alone – enough energy to power 46,000 homes. Furthermore, in 2009 these programs provided nearly $55 million in annual savings for residents, businesses, schools and other utility users and reduced smog-producing emissions such as nitrogen oxide by more than 413 tons per year. Angelou stated that while these Texas energy efficiency program findings are significant, there remains the potential for an even greater economic impact. His report states that 36 states are currently contributing a larger percentage of their capital to energy efficiency programs, resulting in increased energy savings and greater economic benefits. Texas’s current energy efficiency investments per capita are one-third of the national average, and less than programs in Iowa, Arizona, New Mexico, Oklahoma, Missouri and Mississippi. Currently, the Texas Legislature is considering two bills, SB 1125 (Carona) and HB 1629 (Anchia), that would continue these successful energy efficiency programs. These bills are supported by many stakeholders, including businesses, environmental groups, and utility companies. In the face of tough economic times, Texas’ energy efficiency programs provide a positive economic impact to the state, including saving Texans money, improving businesses’ competitiveness and creating jobs. This study provides additional evidence that continuing the state’s energy efficiency efforts is valuable to Texas. About Businesses for an Energy Efficient Texas coalition (BEET): BEET is a coalition of businesses seeking to improve Texas’ competitiveness, save Texans money, and create more Texas jobs through the implementation of energy efficiency projects and programs. BEET is also focused on educating Texas leaders about how energy efficiency programs, products and services benefit the state. For more information about BEET, visit www.BEETcoalition.org. We use more electricity now than ever, and since 2007 our energy usage in Texas is outpacing population growth. How many of us charge our cell phones or laptops all night so they’re ready for use in the morning? Or perhaps run the AC 24 hours a day during the blazing Texas summers? Several years ago the Legislature passed a bill to bring down our consumption, but there’s still much to be done. On one hand, legislation can continue to push down the maximum levels of energy consumption, thereby compelling energy companies to utilize more efficient forms of energy. On the other, consumers and business owners can decide to individually pursue energy efficient technology, such as light bulbs, solar panels, and more efficient appliances. Both suppliers and consumers must pursue energy efficiency to push it into the mainstream. It’s the simple market equation of supply and demand—but who is going to push first? Will energy companies supply more efficient forms of energy, or will consumers demand it until it really catches on? While trolling the halls of Legislature during the last session and passing around information on efficient energy, I was pulled into a conversation between two gentlemen in one of the offices. We discussed a slew of topics, including the Austin rodent problem of Fall 2008, the general usefulness of cats, and (prompted by my flier) light bulbs. One gentleman was insistent that LEDs do not provide near the quality of incandescent bulbs, and therefore refused to use them in his home. I was not exactly sure how to respond to that (I’m no bulb expert) but in my research I found the video posted below.